After a preview at the track, department store hosts a festive grand opening. While downtown Saratoga Springs is lined with quaint fashion boutiques, upscale department store Lord and Taylor has returned to Albany after nearly a decade, giving shoppers in the Saratoga-Capital Region even more options. The evening before its grand opening on Sept. 18, Lord and Taylor held a VIP preview party to show off its newly renovated 100,000-square-foot space in Crossgates Mall. Guests who formed a long line outside, as a spotlight shone up to the sky, were greeted inside with flutes of champagne and waiters passing hors d’oeuvres. Huge glass vases with giant 3-foot-tall Calla lilies stood at the base of the elevators. Music set the beat, and two big bars added to the buzz. Fashionably dressed guests who perused the designer clothes were helping charity as they shopped: Proceeds from the preview and 10 percent of sales on opening day were donated to the American Red Cross of Northeastern New York and Ronald McDonald House Charities of the Capital Region. Lord and Taylor had a preview at the Saratoga Race Course this summer with a “pop-up” store that sold hats, T-shirts, sunglasses and cosmetics. Every Saturday, Lord and Taylor sponsored an on-track contest in which guests were photographed for the chance to be crowned “most fashionable.” The one male and one female participant selected each week were given a $250 Lord and Taylor gift card and invited to present a trophy in the winner’s circle. Lord and Taylor sponsored a race of its own on the Friday before Travers Day. Standing in the winner’s circle on Travers Day, Eileen DiLeo—executive vice president for Lord and Taylor and Hudson’s Bay Company— said, “We are so excited to be returning to the Capital Region” and becoming part of the community again. The summer promotion was “a match made in heaven,” she said, as Saratoga Race Course, founded in 1863, is one of the most historic tracks, and Hudson’s Bay, founded in 1690, is North America’s oldest company. 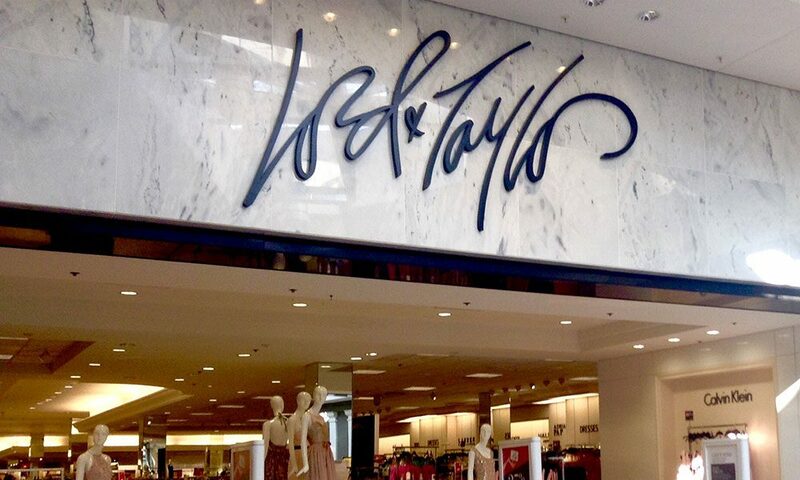 Lord and Taylor, founded in 1826, is historic like Saratoga, yet stylish and modern.